By 2030, more than one in five Minnesotans will be aged 65 and older. This surge has ignited demand for home and community-based services, yet the state’s 93,000 home care workers routinely work in jobs characterized by low pay, minimal training, and high turnover. Taken together, these trends are creating a caregiving crisis in Minnesota. 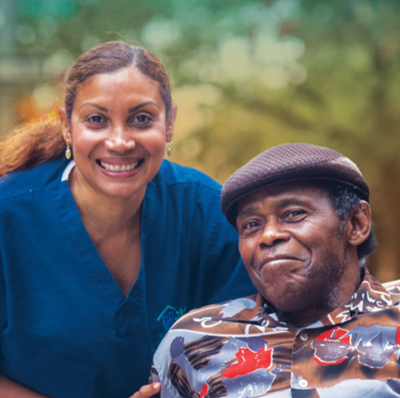 In 2017, PHI partnered with LeadingAge Minnesota, a statewide organization focused on the needs of older adults, to release a PHI research report examining the state’s home care workforce and trends in the broader sector. The report offered a range of recommendations, including interventions that would elevate the role of the home care aide by increasing their skills and responsibilities and would create advanced roles that promote retention and increase compensation. The report also offered strategies for dealing with caregiving challenges in rural Minnesota, among other recommendations. The report was released at a conference on workforce solutions hosted by LeadingAge Minnesota, which brought together more than 100 aging professionals from around the state. This partnership continues with a PHI-led, multi-year initiative in Minnesota that seeks to improve the state’s home care landscape through a variety of workforce innovations, including training.